Silver Facia replacement and Facia Bulb Replacement. 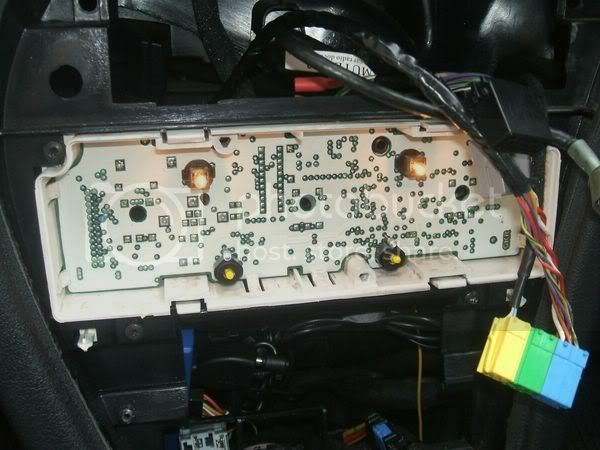 This FAQ is aimed for the purpose of upgrading to a phase 3 facia as well as owners needing to change clock bulbs, heater console bulbs and the cigarette lighter bulb. 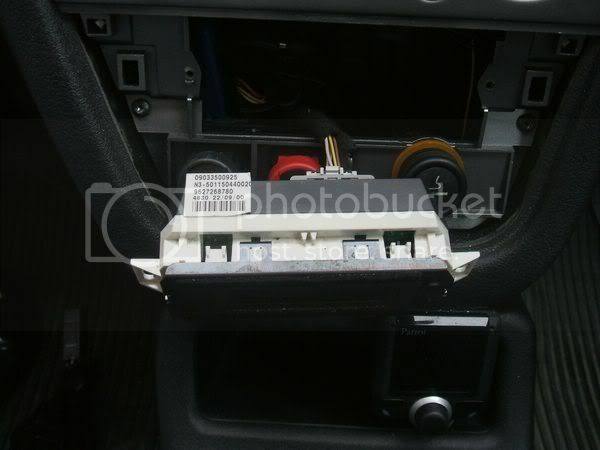 First of all, to access any of the screws you need to prise off the lower facia panel. E.g. 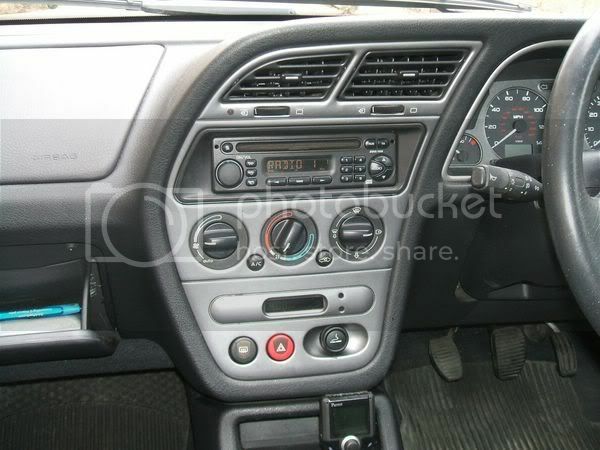 the one with rear demister, hazard lights, cigarette lighter and clock. The easiest way to do this is with a trim tool. I haven't got a proper plastic one to avoid scratches but if careful enough not a problem. 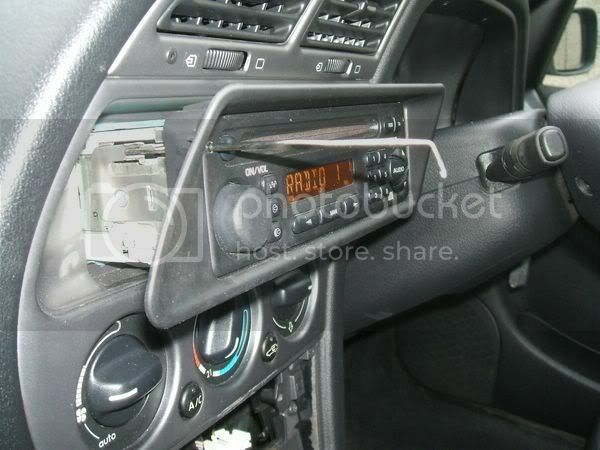 Alternatively as Justinaccurate, the Autohypochondriac suggested wrap some insulation tape around the end of the implement. He clearly missed this bit in life which is why he's now a dad. Right now this is off you can firstly start with the clock bulbs. Undo the two torx 20 screws eitherside and unclip the connector at the rear. The bulb holder is easily undone with a pair of pliers, lightly held and twisted. There are two options of how to do this bulb change. 1). 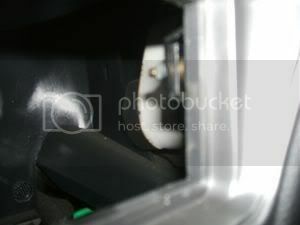 Buy the bulb holder complete with bulb for �2.16, part number 6112 60, you need two of these if none illuminated. 2). 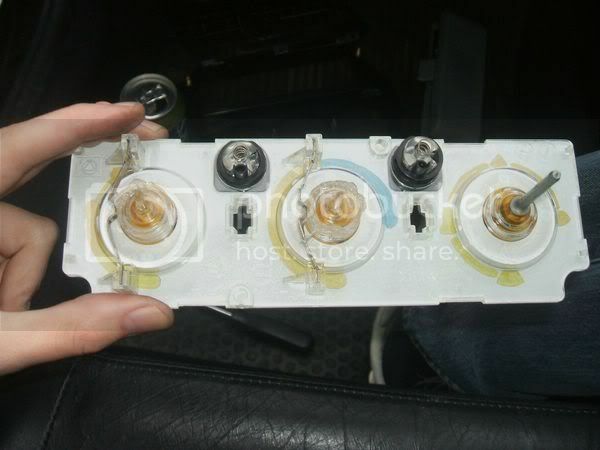 Buy the bulbs for �0.71p each part number 6216 C6 and pull out of the holder and replace. 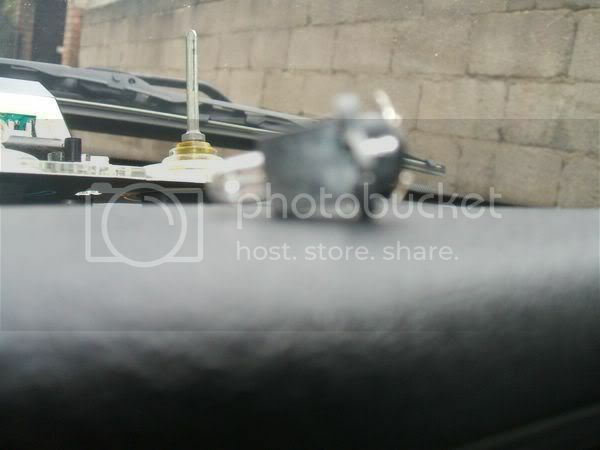 Auto focus appeared to be playing up apologies. 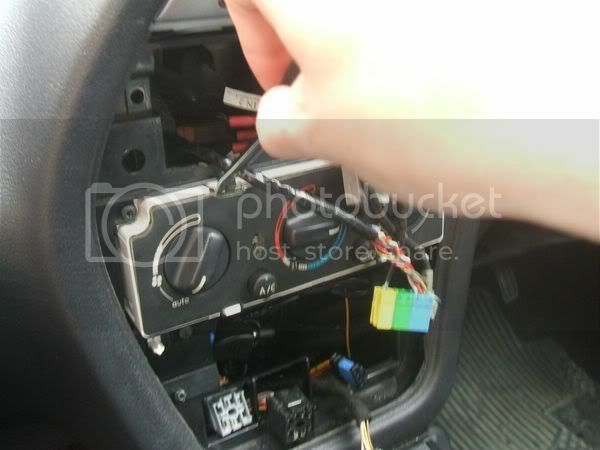 Repeat in reverse order to secure the bulb holder. Then reconnect and test the clock bulbs. Once checked disconnect to continue. 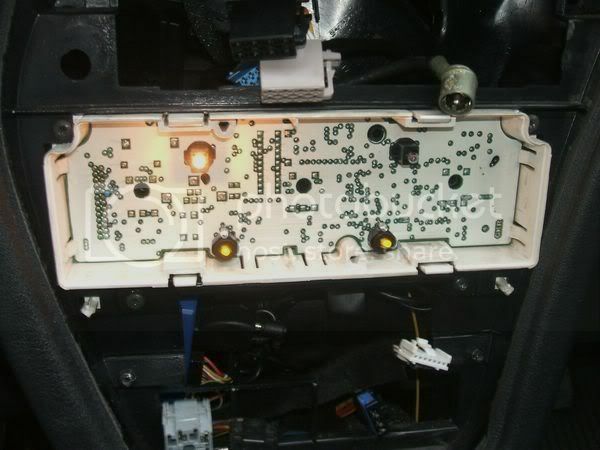 So with the clock out and bulbs replaced you can start on the main upper panel. 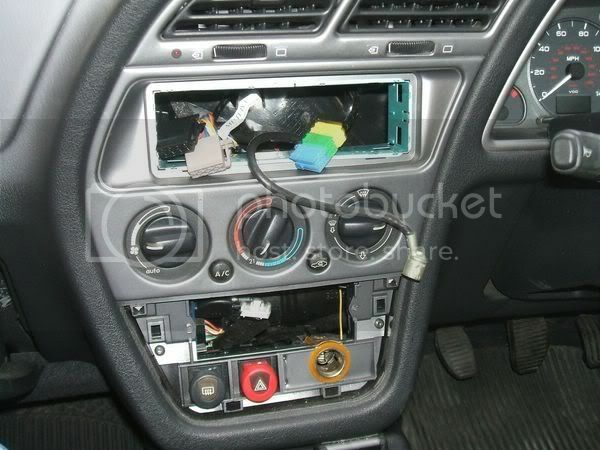 Firstly remove the radio either with proper stereo keys or a straightened coat hanger. I use hair dye pins from my old housemate. Before doing this make sure you know the code. If a phase 2 cassette player the code can be worked out from the following algorhythum. If a phase 3 PU-2294A, get your wallet out. I can not be held responsible for you parting with cash or driving around in a car with no music. 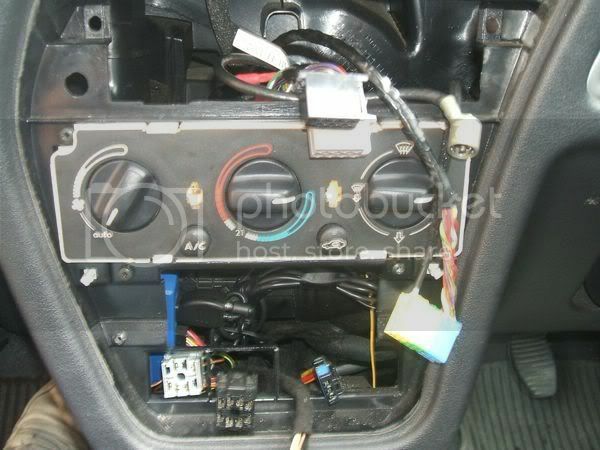 Once the stereo is out and all connections removed from the rear. You need to remove the cage. 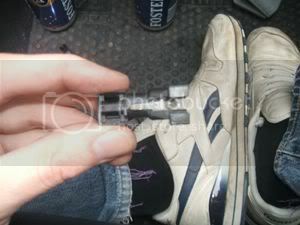 Once this is removed get a flat 5/16th inch spanner, 8mm in new money and undo the two nuts holding the upper facia in. Again, no auto focus sorry. I didn't have one but had the sizes either side of it. With my skinny wrists a screwdriver ratchet can be inserted to undo the bolts on either side. Next undo the two remaining torx 20 screws, once removed gently lever from the bottom and it will just pop out from under the remaining facia plate holding the vents. 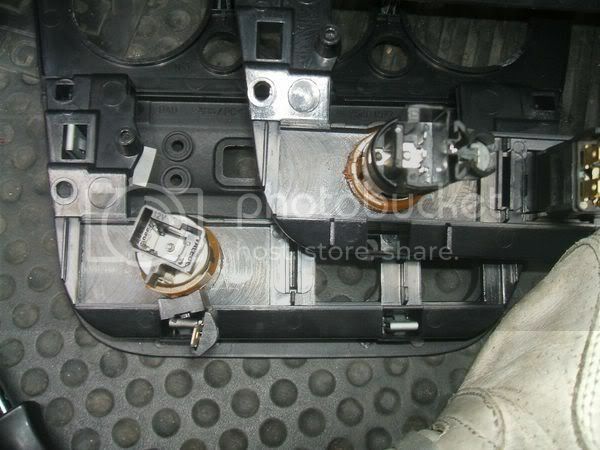 Then unclip the rear connectors to the rear demister, hazard warning light and cigarette lighter. Right it's all off now. 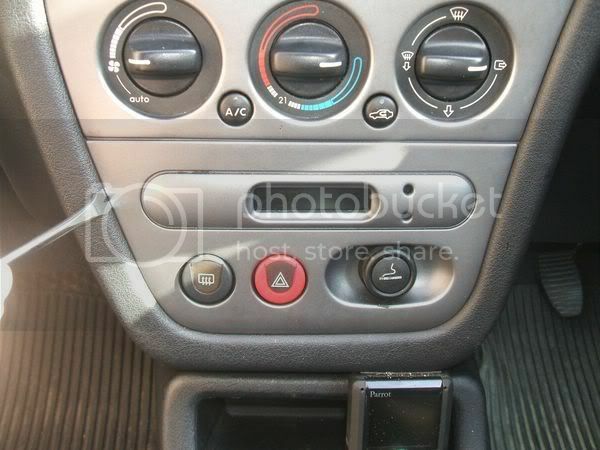 The last bit is the upper air vents. 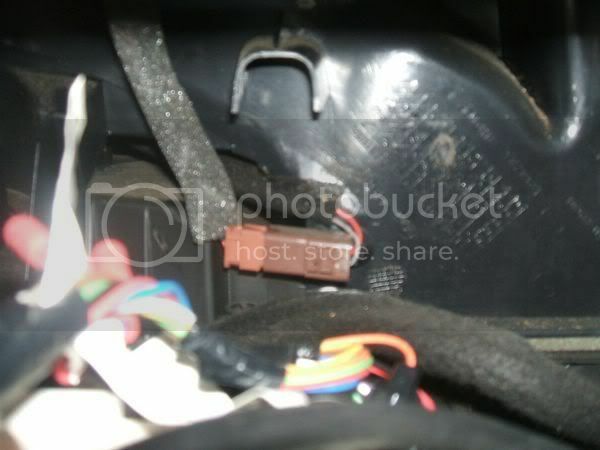 Behind the vents under where the bung from the rear of the radio sits is a brown connector. 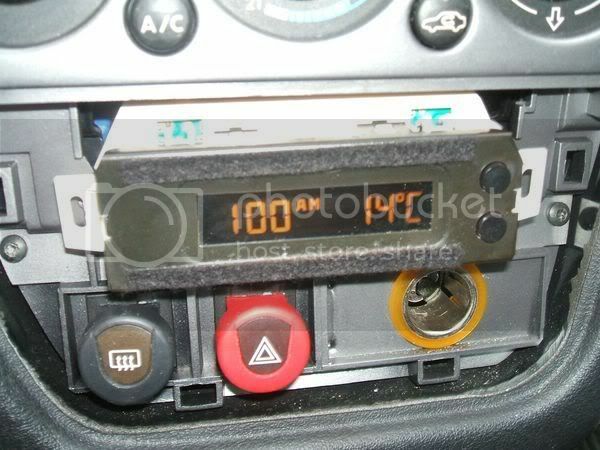 Unclip this, as it is the alarm diode/flashing LED. 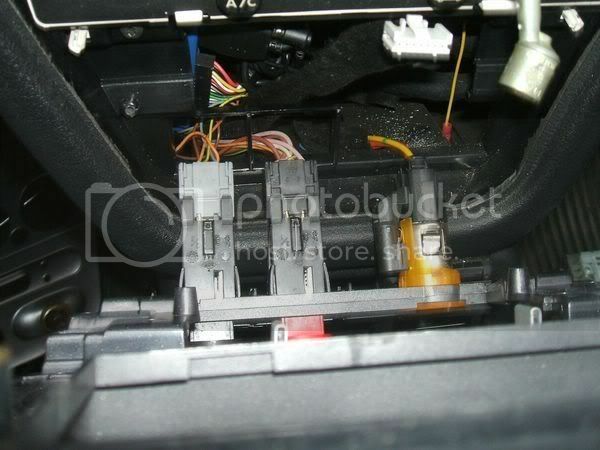 In the centre there is another torx 20 screw, undo this. Once these two things have been done gently prise outwards and the part will come out. I didn't take a picture of this as it's one more thing that could rattle. Now at this point, if your heater illumination is not working, it's the best time to change these bulbs. 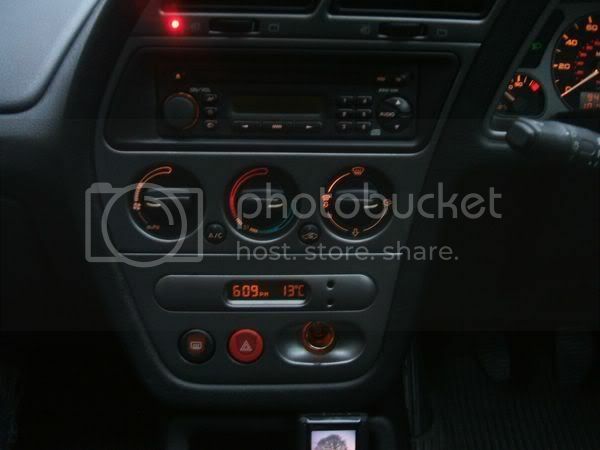 Please note Rallye heater units differ from 6's due to no aircon, these take the backlit bulbs the same as the clock. There are 4 of them in total. 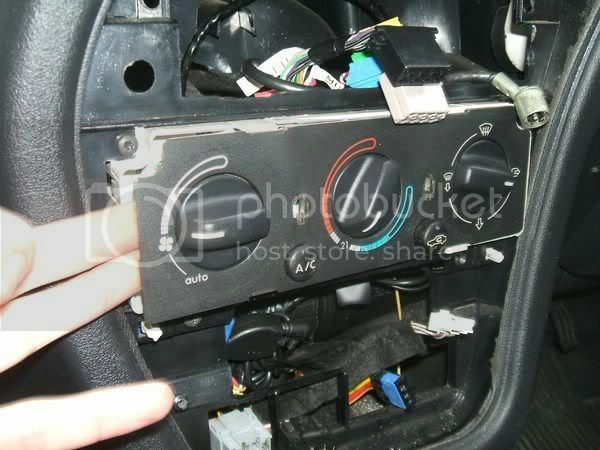 There are four clips holding the dial facia in place built into the surround of the main heater control unit. The bulbs are behind this. 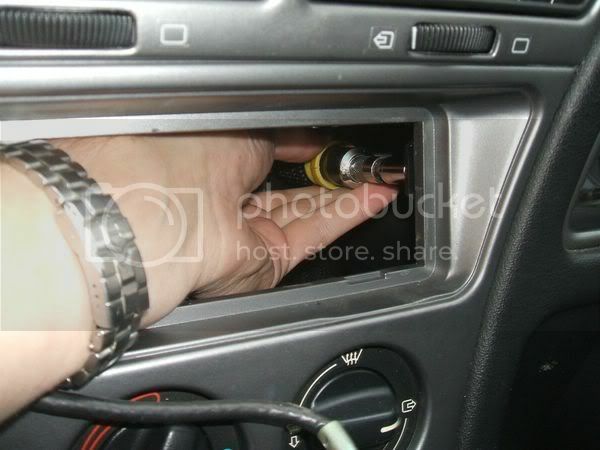 One careful word of warning when pulling off is, the air-con and recycle air button will fly out. 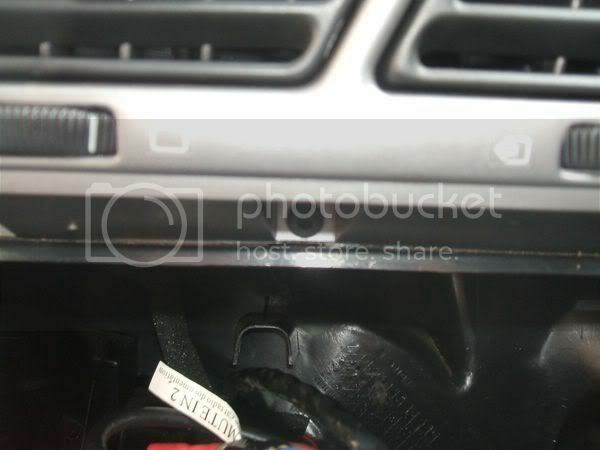 My recycle air button flew between the centre console and the passenger seat. 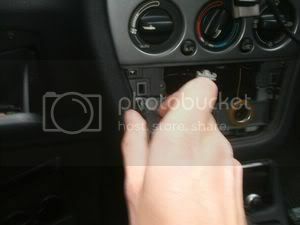 Hold by the edges as there is gunk on the rear, to grease the dials. Once off you can see the two main bulbs. To the right is one not working. 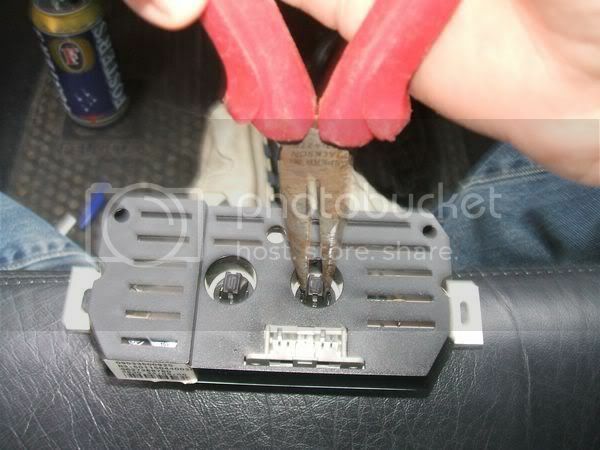 For these you need to buy the bulb holders, as the bulb is soldered into the holder. So you can not just pull out and replace with the cheap bulb only approach. The part number for these holders is 6112 54 and cost �3.81 each. 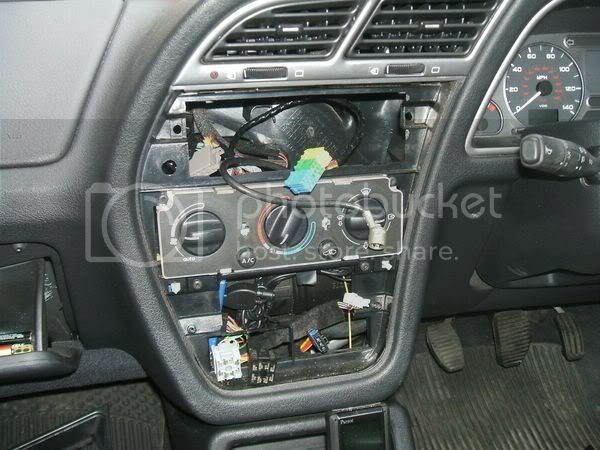 A common fault is that the bulb doesn't actually always seem to be the problem as proven if you bang the dash before dismantling and they come on. Although after putting the new bulbs in no problem, instant illumination, so just replace both. There are the lights for the air con and recycle buttons too, but these looked far too fiddly to try and work out how to change. There was no way I was going to try as they look flimsy and expensive. Once these are fitted and tested reattach the dials, making sure if the dials have moved that you have readjusted so they fit between the appropriate parameters. 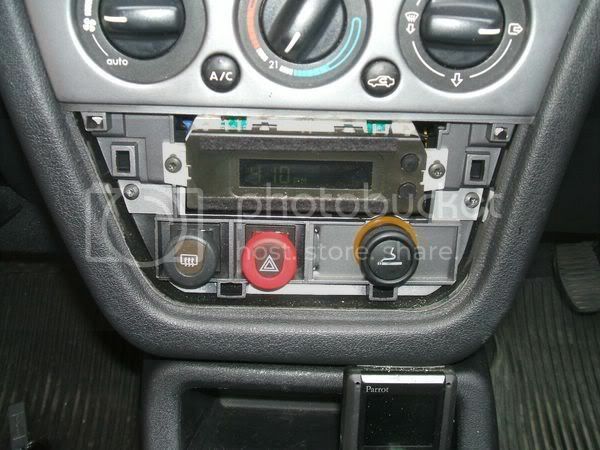 Repeat removal and readjustment of dials facia until all correctly realigned. 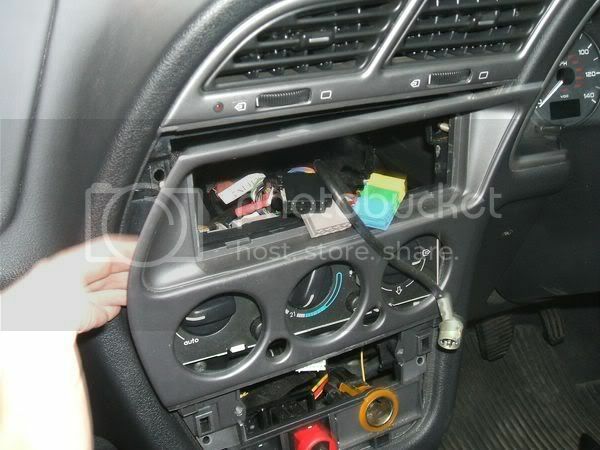 While this facia is off you can change the cigarette lighter light, as this is the most common light not to work. This is where I have identified another design change. A late phase 3 has an attached separate unit for the light, which is a pain in the backside to get off. The connector has one three prong connector, whereas earlier design has two connectors, one two prong for the lighter and one single prong for the light. A phase 2/early phase 3 has a lovely bulb lid that you open and swap bulbs with relative ease. The phase 2/early 3 is the one on the left. Anyway back to my phase 3. The way I got it off was to unclip the upper sides, and then with a torx 10 remove the screw from inside the bottom of the lighter to remove the female connector hub. The bit that looks like the part should just slide up and off didn't so release from either side. 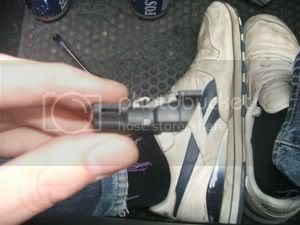 Then at the bottom undo the clips eitherside, holding it to the bottom of the cigarette lighter. The little unit should now be off, complete with protruding contacts. This is where mine went a little wrong. The bulb is held in and there are two grey clips that need to be popped in and pushed up to get the grey unit out to replace the bulb. Simple but they don't really want to budge. End result one side snapped but at least the bulb was free. The bit went flying and I haven't found it yet. Pull bulb out and replace. 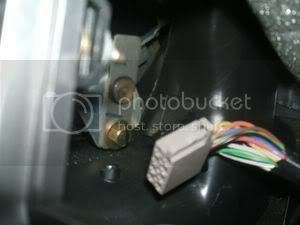 The bulb for this is �0.71p part number 6216 C6. Put back together in reverse, mine minus one side but still worked. Now all that is done and bulbs have been changed your new facia sections are ready to be installed, or old ones reinstated. Repeat the process in reverse. All the lights should now work and if updating you will have a nice phase 3 facia. 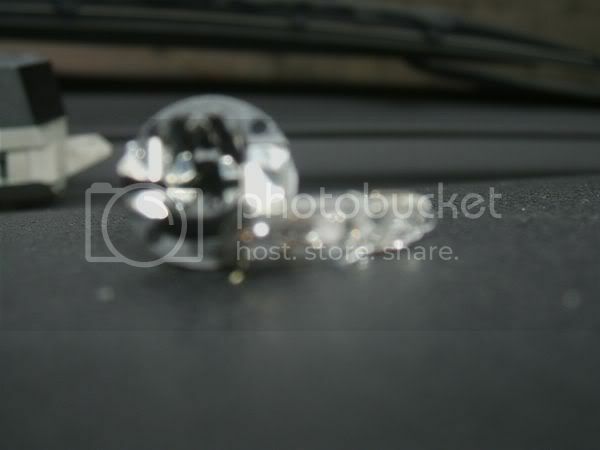 Any damage to the silver and other equipment is completely out of my hands. I did mine carefully, apart from the one mishap. 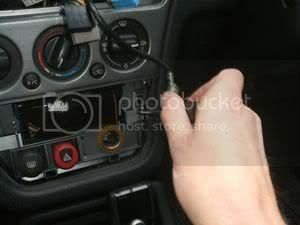 If you need to drive the vehicle while in this dismantled state be sure to reconnect the hazard warning switch, otherwise the indicators do not work. The connector is the one in the middle. 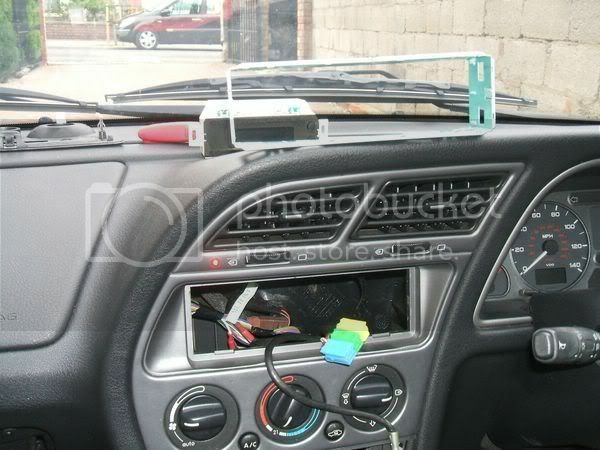 If you have a rallye and have got all the way down here you will now be aware that your heater unit varies to a 6 because of the lack of aircon. Feel free to re read this FAQ and spot where I tell you there is a difference. Clock Bulbs FTW, 4 of them. Also while doing this keep battery use to a minimum as you will flatten the battery.